Xinjiang would begin in the middle of August. The reason for the two month delay remains unknown. Additionally, while Chinese papers report that the trial was public, that is debatable. 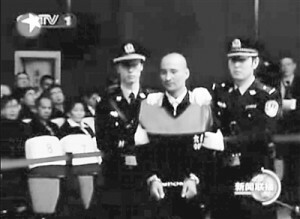 According to the government controlled media, the 400 people in the audience included officials from the Urumqi, representatives from the National People’s Congress (NPC), Chinese Communist Party (CCP) officials, relatives of the defendants, and “a group of people of various elasticities and walks of life.” However, it is questionable if anyone else was aware of the trial as it was occurring; there was no official announcement prior to trial. In addition to working on the meaning of a “public trial,” the Chinese criminal justice system still has a ways to go in becoming accustomed to an adversary criminal justice system. 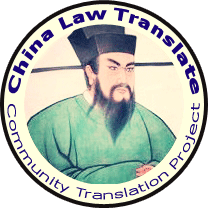 Historically, China has had an inquisitorial criminal justice system, one based upon the civil law systems of Germany, France and other continental European countries. In that system, the judge plays an active and central role, reviewing all evidence the prosecutors amass. The defense attorney’s role is minor compared to the U.S. system, an adversarial one where the defense attorney and the prosecutor duke it out with the judge and jury remaining very passive. Neither system is better than the other; both have their advantages and disadvantages and are more a choice of culture than anything else. However, in 1996, China amended its Criminal Procedure Code to adopt more adversarial-like procedures, moving away from its traditionally inquisitorial system. But as the trial of the seven Uighurs show, many of those amendments, even 13 years after their adoption, have yet to take hold. 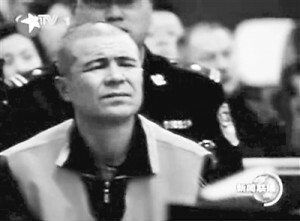 The Chinese press reported that the prosecution presented oodles of evidence including the testimony of eye-witnesses, reports of the incidents, and pictures and video of the alleged events. However this evidence was not subjected to any adversarial testing, a key, if not defining element of an adversarial system. Instead, the Chinese press reported that the defendants merely told their side of the story with their lawyers offering their own opinions. Questioning of the prosecution’s witnesses, or calling in experts to analyze any of the prosecution’s evidence was completely absent. Instead, the defendants and their lawyers reverted back to their roles in an inquisitorial system, passive participants with few affirmative rights. Nothing could be worse than a system that purports to be an adversarial one but does not allow the defense to perform the essential role of such a system – actually challenging the prosecution’s case. China is slated to amend its Criminal Procedure Code in the next year or two. Hopefully it will pull back on adapting more elements of an adversarial system, since as of yet, it has a long way to go before it takes hold. And there is nothing wrong with reverting back to a more inquisitorial system, a system that works well in continental Europe.